“Who’s coming to your dream dinner party?” It’s a game I’ve played on many long road trips and first dates, with answers changing over the years. 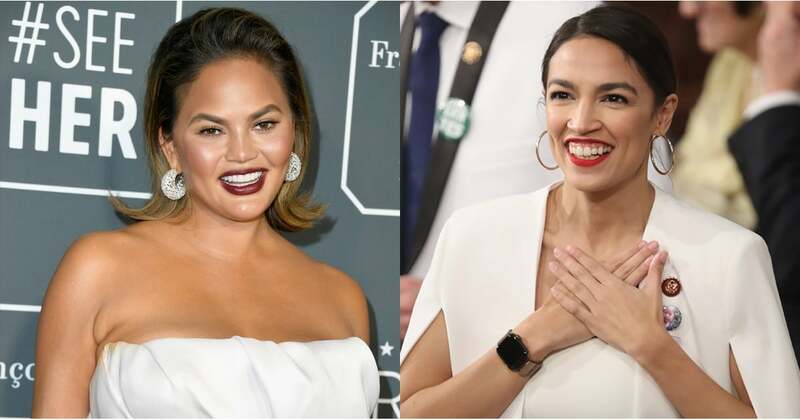 In 2019, however, I can confidently say Chrissy Teigen and Congresswoman Alexandria Ocasio-Cortez would easily make my list of invited dream guests. So imagine my surprise when my pretend BFFs started planning a Grammys pizza party for Sunday’s show . . . without me? I’m completely fine, but let’s dissect exactly how this happened.